Investigations by Bounce News reveals that the ill-fated amala meal is Osun state might have been the handiwork of a young man identified as Rasaq. 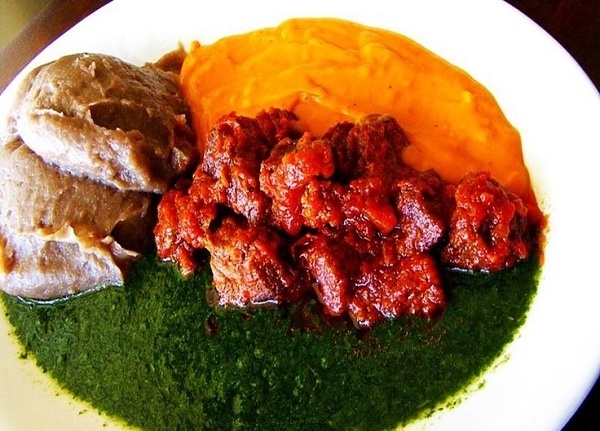 There is a new twist to the story of the poisoned amala meal in Ibokun in Obokun Local Government area of Osun State. First, from latest reports, the casualty number has now risen to five from the initial three. Now, investigations by Bounce News have revealed that the ill-fated amala meal might have been the handiwork of a young man identified as Rasaq. Everyone is accusing him of poisoning the food because he was dumped by his girlfriend, Esther. Esther and Rasaq popularly known as "fine boy" were entangled in a love web which went awry, leading to Esther's decision to quit the relationship. Rasaq, who is a commercial motorcycle operator, would take none of that as he was reported to have connived with one of Esther’s female friends to poison the food meant for the whole family. Esther and her mother, Mrs Kehinde Fasanya who was a staff of Obokun Local Government died instantly after the meal. One other member died on the way to the hospital while the remaining two casualties were recorded after futile efforts to save their lives at the Wesley Guild Hospital of the Obafemi Awolowo University Teaching Hospital in Ilesa, Osun state. We are trying to reach the police to give us an update.